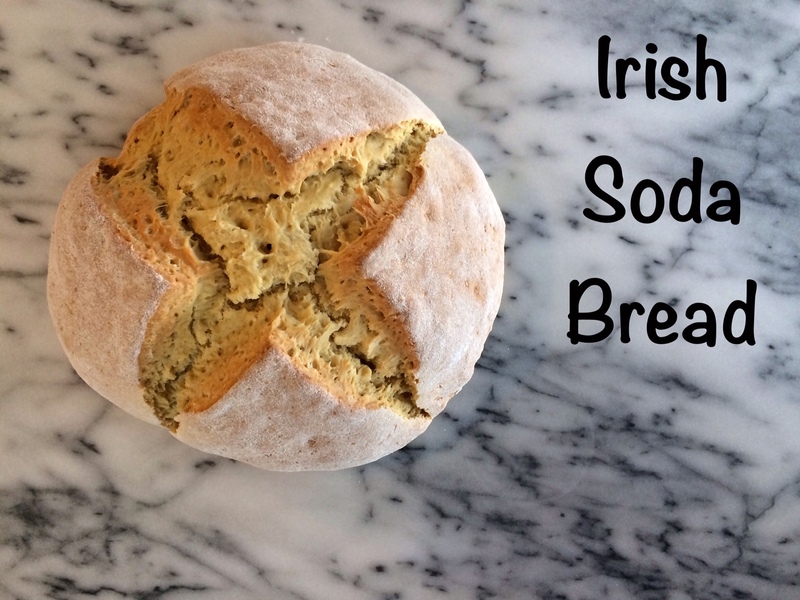 I’ve never had traditional Irish Soda Bread, let alone made it myself…so I am no expert in the soda bread department. But during the month of March I am usually inspired to make festive things that are NOT corned beef and cabbage…believe me, I have tried to like it, but it’s just never going to happen. 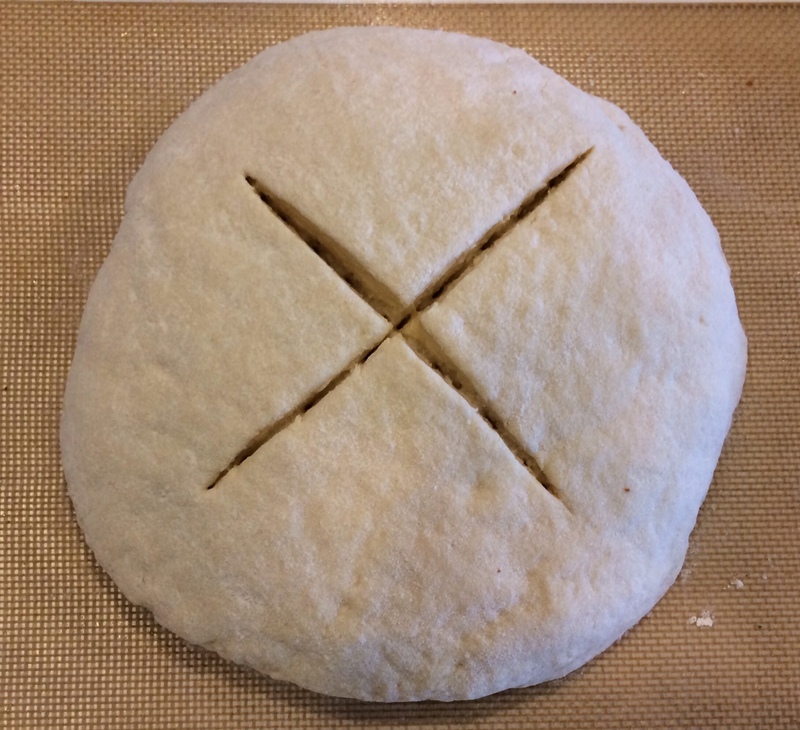 I figured Ina’s soda bread recipe was a good place to start. 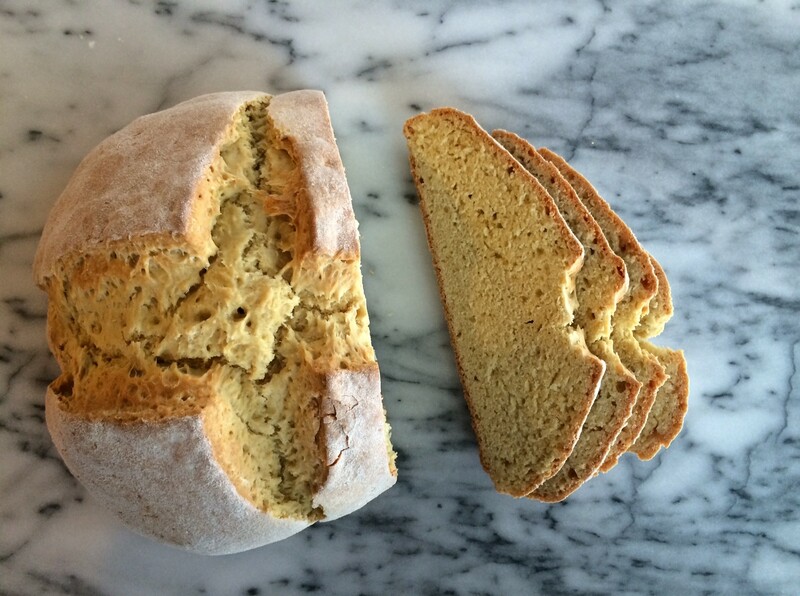 Since I was looking for a more basic and savory soda bread option, I omitted her addition of currants and orange zest. 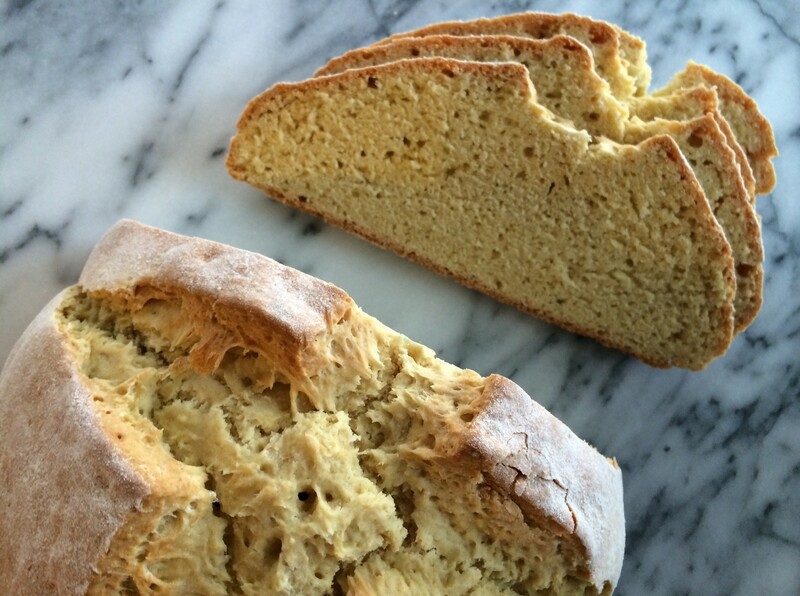 The result was a super easy, non-yeast bread. It’s pretty dense, and closer to a biscuit in one giant loaf rather than bread. Next time I use this recipe it may honestly be for biscuits instead of one large loaf. Next time I will plan to play around with the fillings more, whether they be savory or sweet. Altogether, I think this is a pretty good base for Irish Soda Bread. 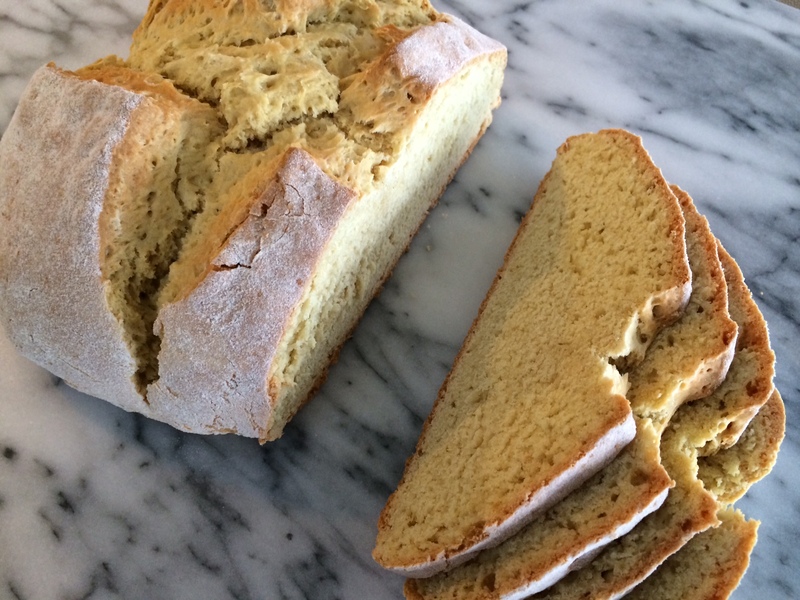 I’d love to hear about any soda bread recipes you have tried if you would like to share! Combine the flour, sugar, baking soda, and salt in the bowl of an electric mixer fitted with a paddle attachment. Add the butter and mix on low speed until the butter is mixed into the flour. With a fork, lightly beat the buttermilk and egg together in a measuring cup. With the mixer on low speed, slowly add the buttermilk mixture to the flour mixture. The dough will be very wet. Those look delish, cute and fun! Oh Martha! Thanks for sharing. If you were closer I would totally make some and bring them over for you and the babies!